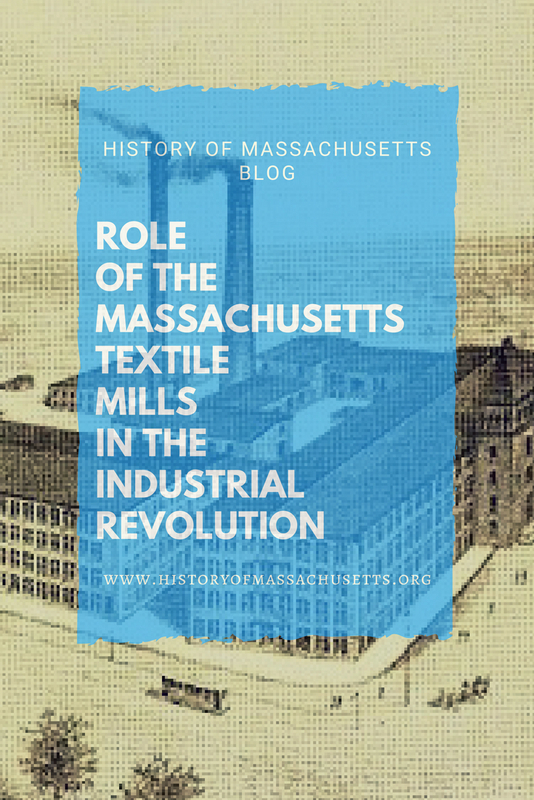 Although other textile mills were established in Massachusetts in the late 18th and early 19th centuries, they were small and only employed a total of 100 people in the entire state. Yet, these early mills gave local mechanics and engineers opportunities to learn rudimentary mill construction and inspired wealthy merchants in the state to think bigger and develop more sophisticated industrial plans. One such wealthy merchant was Francis Cabot Lowell, a Newburyport native who formed the Boston Manufacturing Company, which later became the Boston Associates, and established his first mill in Waltham, Massachusetts in 1813. Lowell’s mill used new types of technology, such as a water-driven power loom, and hired young adult women, known as “mill girls,” to run the equipment instead of children. The mill also did all of its manufacturing under one roof, with raw cotton entering at one end of the factory and finished cloth leaving at the other end. This type of manufacturing and labor management later became known as the Lowell System and it completely revolutionized textile manufacturing, making it more efficient and cost effective and less dehumanizing to its workers. After Lowell passed away from an illness in 1817, the Boston Associates opened a new, and much larger, mill town and named it Lowell. It was the first large scale mill town in America and was hugely successful. Due to Lowell’s success, many new mills and mill towns just like it began to sprout up along rivers across Massachusetts and New England. Around 45 mill towns were established during the industrial revolution just in Massachusetts alone. Starting in the 1830s and 1840s, the textile industry began a slow and gradual decline due to overproduction. There were so many highly efficient factories that textiles were being overproduced and their value dropped dramatically. As a result, many factory owners cut wages and hours which led to a lot of worker unrest, protests and strikes. In the 1840s, the mill girls were slowly replaced by Irish immigrants seeking refuge in America from the Irish famine. These immigrant laborers were willing to work longer hours for lower pay and often put their children to work with them in the mills. As a result, the Lowell System failed and the textile mills became what they were trying to avoid: a low-paying dehumanizing workplace that exploited the working poor and child laborers. When the Civil War began in 1861, many of the remaining mill girls quit the textile mills to become nurses, to help out at their family farms, or to take up positions that men had left when they went off to join the army. The mills contributed to the war effort by making many of the wool uniforms for the Union army but a sudden Confederate embargo on cotton disrupted mill operations. When the mill’s raw cotton supplies became more valuable than the finished cloth they produced, the mills sold off all their supplies and temporarily shut down. When the mills opened back up after the Civil War, some of the mill girls returned to work in the factories but the majority of the women had moved on to other jobs and were no longer interested in working in the mills. For several decades after the Civil War, the mill’s production numbers steadily increased but took a turn for the worse in the 1890s when the aging mills had trouble competing with many new technological advances in the industry, particularly when new alternatives to water power were developed. These changes made it easier to establish textiles mills in the South where cotton was grown locally and winter heating costs were lower. Around the time of World War One, many textile companies in Massachusetts began to leave the state. The Bigelow Carpet Company (one of the first textile companies in Lowell) left in 1914, followed by the Middlesex Mill in 1918. The 1920s brought another wave of closings and relocations including the Hamilton Company, Suffolk, Tremont, Massachusetts Mills, Appleton Company and the Saco-Lowell Shop. By the 1930s, only the Merrimack mill, Lawrence mill, and Boott mill were still in operation in Massachusetts. The Great Depression came early to the mills in Massachusetts and never left. By 1936, total textile employment had dropped to 8,000. Many mills were demolished or reduced in size to save on taxes. The mills that were left made increasing demands of their workers and increased their workloads by assigning multiple machines to individual workers. At the Merrimack Mills, this prompted the workers to protest by going on strike. With World War II looming and a demand for textiles increasing as a result, the mills owners gave in to the worker’s demands and the workers returned. The war temporarily saved the mills and improved the local economy. 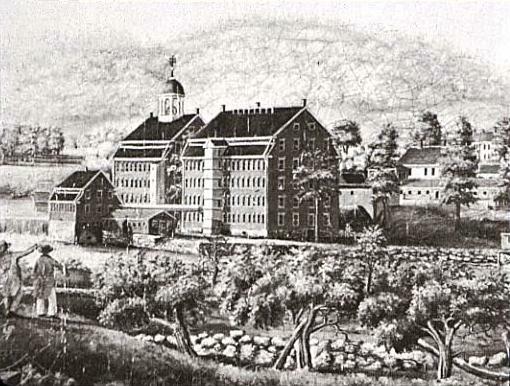 The remaining mills, Merrimack mill, Boott mill and the Ames mill (formerly the Lawrence mill) received lucrative government contracts with companies such as Remington, General Electric and U.S. Rubber. Employment at the mills increased and the departure of men for military service brought in many women to the workforce. Wages also increased as the demand for workers grew. The war time boom was only temporary though and as soon as the war was over in 1945, orders for munitions and textiles fell and the local economy began to decline again. 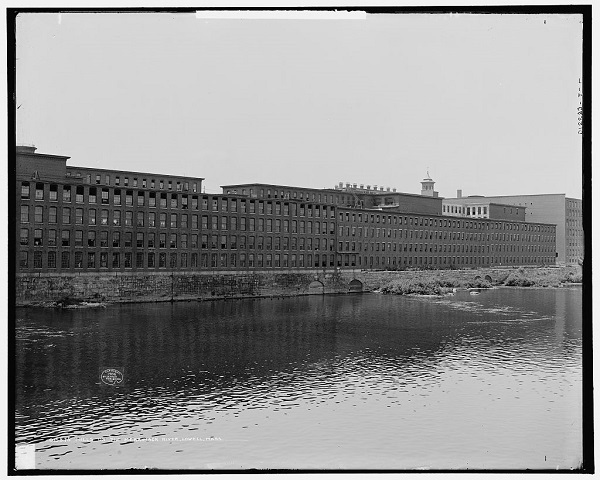 In the 1950s, the last remaining textile mills, the Boott mill and the Merrimack mill, finally closed. To learn more about the industrial revolution, check out the following article on the Best Books About the Industrial Revolution. Brown, Richard D. Massachusetts: A Concise History. University of Massachusetts Press, 2000. Rosenberg, Chaim M. The Life and Times of Francis Cabot Lowell, 1775–1817. Lexington Books, 2010. Whilst following my Family History I found part of my family who emigrated in 1910 to New Bedford. They were Cotton Weavers e.t.c from Preston Lancashire. I was told that a lot of Lancashire people followed this track. I am now trying to get history about New Bedford and the Textile Industry and that is how I came across your information. I live in Australia. y husband’s grandfather was a manager,or “overseer” ,possibly an engineer of sorts at a Worcester mill. There is a possibly apocryphal story that he was involved in the design of machinery to make parachutes,and volunteered to test them when he was in his 50s or 6os. Is there any way to research this? I honestly have no idea. Information like this would probably be in the company’s records, wherever those are. It would help if you knew the name of the mill he worked for and then you could try to find its records somewhere, if they still exist.